Since 1939, the Vienna Philharmonic's New Year's Concert has become a tradition and the world's most famous classical music event. The list of names of leading conductors who have led the Vienna Philharmonic's New Year's Concerts reads like a veritable who's who of great maestros: Herbert von Karajan, Lorin Maazel, Claudio Abbado, Zubin Mehta and Riccardo Muti to name a few. For the second time in five years, celebrated conductor Daniel Barenboim returns to the podium for this extraordinary event. Barenboim has had an illustrious career that includes tenure as the chief conductor of the Orchestre de Paris and music director of the Chicago Symphony, where he was named "honorary conductor for life." He has performed with the Berlin Philharmonic and the Vienna Philharmonic many times and in 2011 was named music director of the legendary Teatro alla Scala in Milan. <br><br> The Vienna New Year's Concert is unique and has often been imitated, but not equaled, with a live broadcast on television in over 70 countries around the world with over 40 million viewers. PBS aired the 2013 concert on over 181 stations and will broadcast nationally again this year. The program traditionally revolves around waltzes and polkas by the Strauss family and includes works by other composers of that era. This proven formula blends well-known classics with premieres of works that have never been recorded and rarely heard. 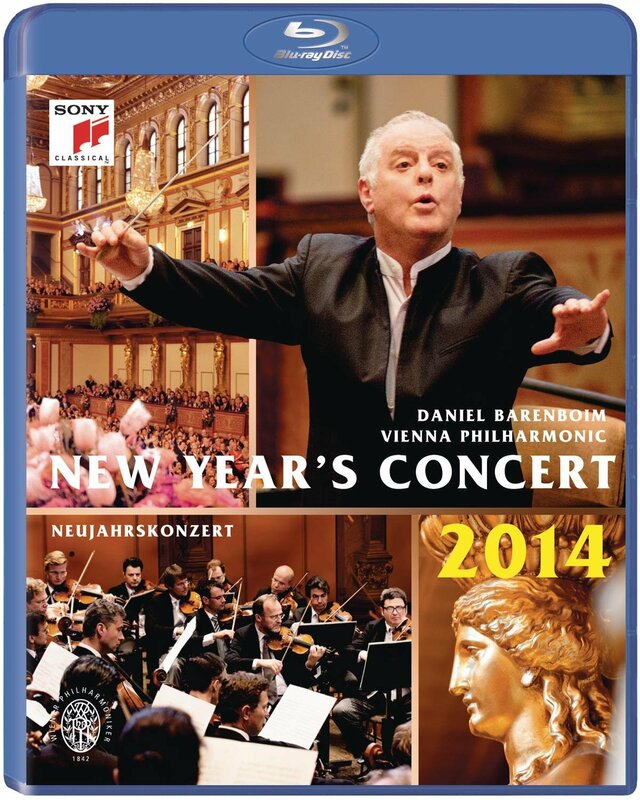 The repertoire for the New Year's Concert 2014 remains a closely guarded secret until a few days before the event, but this year the concert will include nine premieres and pay tribute to the 150th anniversary of the birthday of Richard Strauss.